From the Viewers of "I, Tonya" Comes "I, Curling"
Phoebe Tyers is an actor, comedian, writer and podcaster based in New York city. She plays a APRIL in SEARCH PARTY on TBS and a supporting role in the feature film FORT TILDEN. 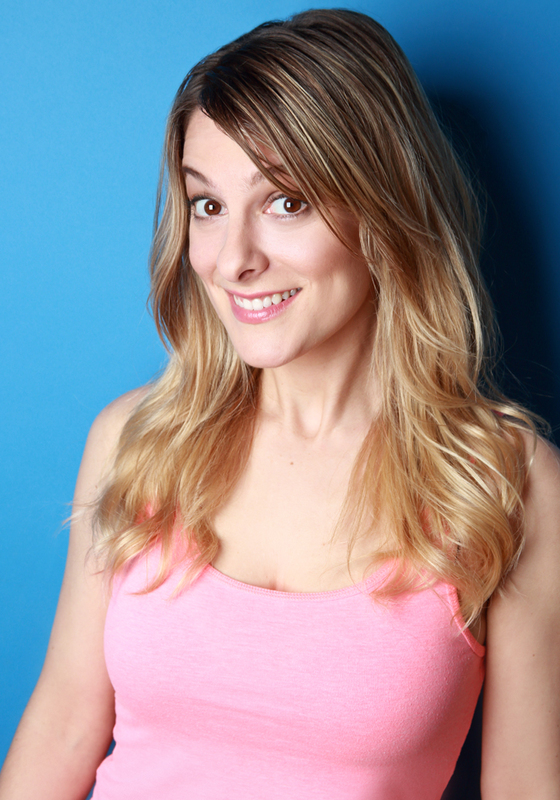 You can currently see Phoebe performing original characters at UCB east with Characters Welcome and improv at the Magnet Theater, weekend team the Friday Night Show and the long running house ensemble The Music Industry. She is a recurring voice actress with The Truth Podcast featured on NPR/All things Considered and Snap Judgment and she is a STORY PIRATE. Phoebe hosts her own vintage talk show, Phoebe Jessy Raphael, and co-hosts The Unbelievable Podcast, a weekly "strange stories" comedy podcast where “you learn to unlearn everything you know!” Phoebe got her BA at New School University in playwriting and directing. She has written and directed several large ensembles at Magnet as well as her one-act plays at the La Mama theater and Theatre Row. You can see Phoebe perform every third Monday of every month at UCBeast and every Wednesday and Friday at the Magnet. Phoebe Stared in this Comedy Central digital sketch- From the Viewers of "I, Tonya" Comes "I, Curling"
Phoebe performed with USB's Characters Welcome for a year. Brief Character reel below. Phoebe performs with two long-running improv shows at the Magnet Theater, house ensemble THE MUSIC INDUSTRY plays every Thursday at 8pm and THE FRIDAY NIGHT SHOW every Friday at 8:30pm. Until very recently, Phoebe was writer and performer with House Sketch Team Stockton. Now she is working on her day time talk show parody, Phoebe Jessy Raphael. Characters video and Sketches are shared below. PHOEBE JESSY RAPHAEL CHRISTMAS SPECIAL: Today's topic, What's the matter with everyone? Click here for more info on The Music Industry. Click here for more info on The Friday Night Show. Listen to Phoebe discuss improv and sketch on the Magnet Theater Podcast. Alien abductions! Strange monsters! Paranormal encounters! Fringe Science! Myths and legends! Comedians Brian Frange and Phoebe Tyers explore the strangest, weirdest, and most unusual stories in our universe as well as the people behind them. Subscribe on Spreaker and iTunes! Download The Unbelievable Podcast app! Follow us on Twitter and Instagram. Click here to check out our website, unbelievablepodcast.com. The password for video below is "mothman".